There aren't too many places in the world where the rocks are a bona fide showstopper, worth traveling thousands of miles for. But then, Iceland is an unusual place all-round. This little island in the middle of the North Atlantic Ocean straddles two continental plates, sitting on a rift that is literally tearing the country in two - and the results are as dramatic as they sound. 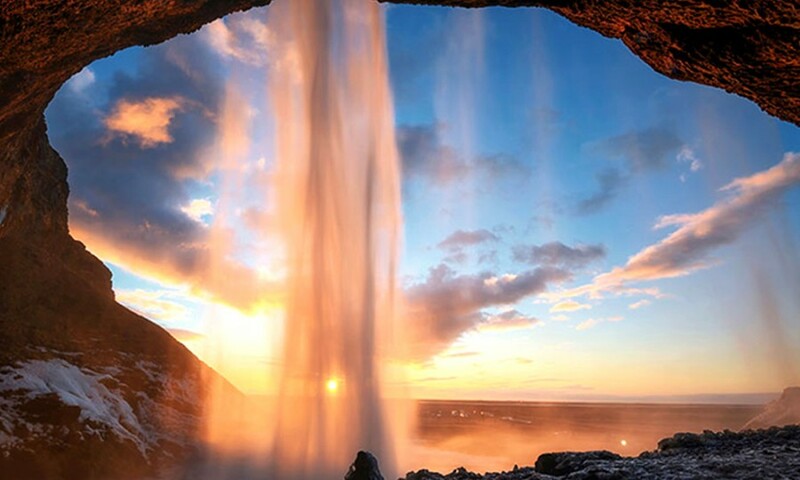 A tour of Iceland will take you from tranquil hot springs to thundering waterfalls and erupting geysers, and from darkly looming volcanoes to multicolored mountains and bizarre, jagged rock formations. Of course, you can appreciate the unique geology here without any background knowledge - but some of the best things to see in Iceland really come alive with just a little added context. So to help you gain the fullest appreciation of the best sights in Iceland, we caught up with geologist and globetrotting science communicator Stephanie Sykora, Ph.D., author of the Exploring the Earth blog, to give you an expert's insight into the five strangest things you can see on an Iceland tour. First, please tell us a bit about yourself. I have an undergraduate degree in geology from the University of Victoria in Canada, and a Ph.D. in geology, which I studied for in Tasmania, Australia - as part of my studies I organized field trips, including one to Iceland. Currently I work as a mineral exploration geologist, but I'm also a scientific communicator, helping explain the geology behind travel destinations through my blog and social media channels. Geology isn't usually number 1 on most people's lists of vacation must-dos. What makes Iceland special? 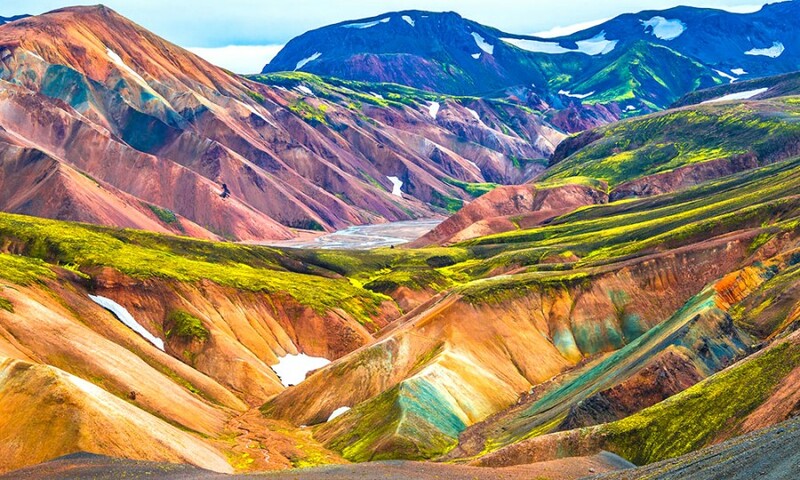 Iceland is one of the most geologically unusual places in the world. 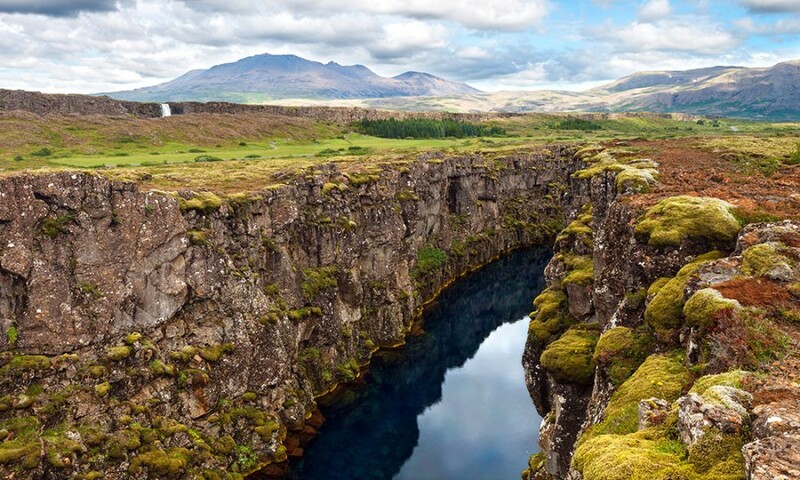 It sits on the Mid-Atlantic Ridge, where two tectonic plates meet and are slowly moving away from each other. It's what's known as a spreading center, and Iceland is the only place where the Mid-Atlantic Ridge is exposed at the surface - that's what causes all the active volcanism and the unique magmas that you can see here. It's hugely important for geology, but it's also what creates the unique landscapes and features. I find that one of the most unique things about traveling to a place is the landscape, and that's one of Iceland's biggest appeals. Iceland is hugely important to geologists, but it's also simply stunning. Because it's so violently active with young volcanism, it's a chance to see, in action, how the planet forms. A tough for a question a geologist, but could you narrow down your top five things to do in Iceland and give us some of the story behind them? This is where you can see the expression of the Mid-Atlantic Ridge on the surface - it passes through the national park and you can actually stand with one foot on the North American Plate and one on the Eurasian Plate. It's the rift that's pulling Iceland apart, but it's also creating Iceland - the pulling apart is what causes magma to rise here, leading to volcanic activity. It's also quite a young part of Iceland's wilderness (geologically speaking!). The oldest rocks in Iceland are about 16 million years old, but the vast majority of them are around three million years old. Much of Iceland was formed by violent volcanic eruptions happening in a cold, glaciated environment. This meant that rocks cooled quickly and created unique landforms - you can actually see the interplay of fire and ice in the rocks here. •Snæfellsjökull: This imposing stratovolcano is famous for being featured in Journey to the Center of the Earth. •Djúpalónssandur: This bay has some really unique rock formations due to the alkali lavas here. It has a real magical feel and there are lots of fairy stories surrounding it, as well as beautiful patterns in the rocks due to the way they cooled while forming. 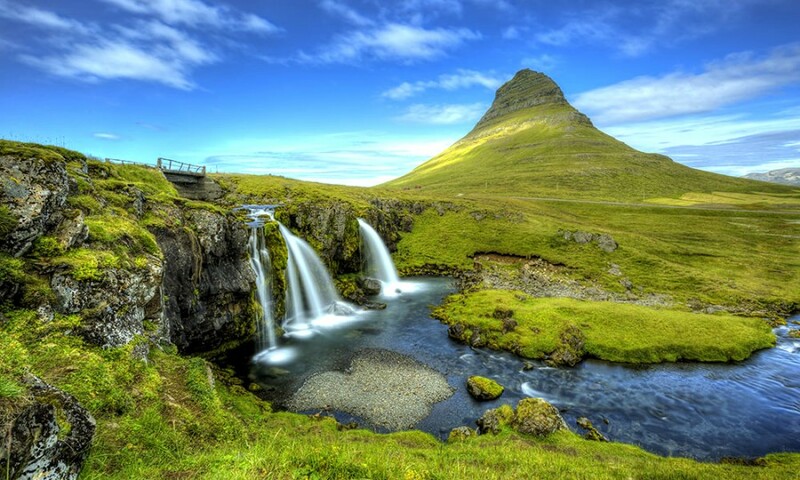 •Kirkjufell: A small mountain that's very often photographed, Kirkjufell is partly composed of sedimentary rocks with fossils, making it very different - it's also featured in Game of Thrones. Laki is one of the most impressive sights in Iceland for understanding the destructive nature of volcanoes - there are over 140 eruption sites where a gigantic explosion went off in 1783. The eruption devastated Iceland and had far-reaching consequences, causing temperature drops in Europe and resulting in famine across Iceland. The unique thing here is the combination of the human and geological elements. You can see the massive cracks in the landscape and actually walk around and within them - it's a really eerie, ominous place that gives you an amazing sense of the power of volcanoes. As well as the amazingly colorful mountains here, parts are covered with glaciers and others are even steaming due to active geothermal systems. The colors are a big draw - the rocks here are felsic, which means they have different minerals from the rest of Iceland. So while much of Iceland is dark black and grey, the mountains here are bright and colorful. Definitely one of the best things to see in Iceland, both because the area is geologically fascinating and because it makes for some great photos! Head south from Akureyri in northern Iceland and you'll reach Myvatn, a volcanic lake. On its eastern shore is the Dimmuborgir Lava Field - a collection of creepy-looking rock formations. According to Icelandic folklore, these are trolls that were turned to stone when sunlight hit them after a night of dancing. Actually, they're the result of steam eruptions from piles of lava on top of waterlogged sediments that froze in midair, creating the unique rock formations you can see here. As a bonus, the Myvatn Hot Springs in this area are a quieter alternative to the world-famous Blue Lagoon, which can get crowded. Nearby there's also the spectacular Dettifoss, usually known as the most powerful waterfall in Europe, which also flows over a rock-bed of icelandite - a really unusual rock actually discovered in (and hence named for) Iceland. If you're keen to explore some really rugged terrain on an Iceland tour, you can head inland by 4x4 to the central highlands. Some of the sights here are out of this world - NASA has actually used the area for astronaut training and research! Now that you have all the expert insight you need to get the most from a tour of Iceland, you're ready to plan your own trip. If you need more inspiration, take a look at our example tours of Iceland, or contact us today to start creating your own bespoke itinerary with one of our knowledgeable Destination Specialists. The interview that formed the basis of this article has been edited for brevity and clarity.